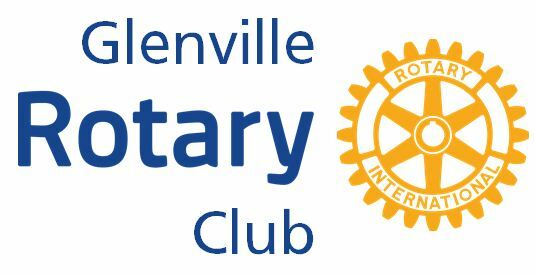 Glenville Rotarians working as part of an Eagle Scout project, and in conjunction with the Town of Glenville and the Greater Glenville YMCA established a trail run course in the Indian Meadows Park. Current trails were used, and then some mapping was done to add some additional loops — some tree clearing, marking of stumps, adding wood chips, bringing in stone & drainage. But the end result was a great 5K course that is open year round. The Glenville Rotary hosted the first couple Muddy Sneaker 5K Trail Runs (we even were postponed once for a hurricane). While popular, we needed some other partner organizations to keep the run as an annual local favorite. The Greater Glenville YMCA and the BHBL 30th Reunion Committee teamed up for the return of the Muddy Sneaker 5K in 2016! 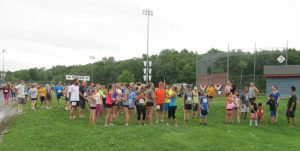 This run continues to be held each fall — this year it is slated for Sunday, September 23, 2018 with the Glenville YMCA as the sponsor! One nice benefit is that for each year, the Greater Glenville YMCA (adjacent to Indian Meadows Park) has welcomed our Muddy Runners by opening its pool after the race.